A trained Bharatanatyam dancer, Carnatic vocalist singer, movie buff, voracious reader (with a weakness for murder mysteries) – meet 58 year old Swarnalatha Iyer, MD & CEO, Seshan’s Academy Infinity, Bangalore which is established with a view of contributing to society through empowering individuals, and enabling them to develop their skills. They develop specific skills in people to enable them to manifest their full potential, achieve their goals and meet their objectives. Swarnalatha had a bumpy start in her professional life. She recalls the time when she was thrown out of her job (very early in her career) based on some wrong impressions. Initially, she felt angry and frustrated, but, later she channelled her energy into upskilling herself. She remained positive and harnessed the power of visualization and it paid off. Two years later, she was recalled by the same institution with a better pay and position. She rose to a very high role and achieved a lot! A very positive person by nature, Swarnalatha does not buckle under pressure. Instead she prays, perseveres and visualizes. That is something she continued to teach the thousands of students she has had the chance to positively influence over the years. 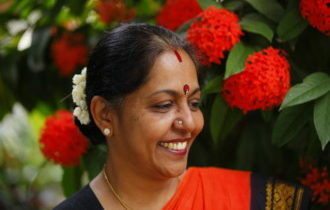 In her experience as a coach of life skills and self-empowerment, Swarnalatha has found that many women have the habit of using phrases like “men don’t understand”, or “you don’t know the difficulties that a woman faces” but she suggests that each gender has its own set of problems, but we need to learn to deal with them and not groan about it. Felt good reading this… You have always been a wonder woman ma’am. Mrs Swarnalatha is this and much more. You have been the inspiration to many of us. Have always tried to follow your foot steps and still learning from you. There are no words to express my gratitude for being who you are. Your definition of women empowerment is the beat I have read and mam thank you for empowering us. True reflection of this enchanting multi-talented lady who works towards improvement in quality of life for many. More laurels to come to Ms.Swarnalatha. Best wishes. Swaranalatha mam deserves to be what she is today. She stole our heart by her simplicity and impressionistic teaching. Congrats for everything. Continue to be same. Wish you more success in life. I wish sincerely to become a swarnalatha madam.. I have known her personally and she is an inspiration to me ..
You are pure GOLD 24C my dear friend Goldie. You truly deserve to be a super woman. I too vote for you. Congratulations. Continue to be an inspiration for many people. Where there is prayer there is no pressure. Yes, one can see how channelling positive attitude pays off, from Ms.Swarnalatha Iyer. She is a warm person ever ready to shower one with words of encouragement. Her charming smile says it all. Dearest friend,proud to say that I’ve been ur close friend for years. May God bless you to achieve greater heights. Swarnalatha mam. As a person you are a true bundle of joy, love and affection. Your personality is very inspiring for youth. The ideology you have carried forward makes lot of sense and as an individual the entity was recognised through your empowered knowledge. I am glad that i had a chance to sit for your lectures. The small nuances in life, the idea of ‘self, ‘ its importance and how to cherish the self in us was thought given by you. Thank you for everything. Congratulations Mrs Swarnalatha. It was nice reading about your journey. God bless you with good health and long life so that you can continue to inspire many many more. Mam u r the lady who looks for the betterment of mankind and very truly u are deserving to be in greater heights. Ma’am you have been such an inspiration to many of us. Congratulations and I am sure you will keep spreading your infectious positivity and great spirit to many more!! You are a woman of many qualities aunty and a very nice lady altogether. Spending 18 days in your company in Europe was a great experience for me and my wife . Swarnalatha, known as Goldie to her college friends has certainly lived up to her nickname. She was always full of energy and willing to try something different, and I am so happy for her success and unsurprised by her generosity. You surely leave many women wondering at all that you do with your attitude, commitment and passion ! Way to go …wonder woman ! Congratulations! You were exemplary in your thought and presentation at our Rotary Public Image conference and it gave us tremendous insight into the person you are. As a educationist among various other roles you play you have shown a clear and decisive approach in making a difference to people around you. Truly you are wonderful and a Wonder woman. It is my pleasure to wish you all the best and expect some more accolades and achievements from you in the years to come. I know Latha from 18 years,she has not changed a bit as far as jeal, enthusiasm and interest towards life are concerned .she is my friend, philosopher and guide. I know that I have chosen the correct person. Her positivity towards life, her ever smiling face and intelligence always attracted me. Whenever I have some ambiguity in my life,i always got the answer and right direction from her. Her never give up attitude and hard work towards right direction made her what is she today. She is everyone’s envy and family’s pride in true sense. I wish her all the luck in whatever she chooses to do. God bless. One more thing which I would love to add –she is a combination of tradition and modernity. Very proud of your achievements. You are such an inspiration to all the women. My heartiest congratulations on your success . Remarkable Ma’m. You are an insipration !!! 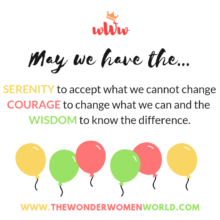 Madam, you rightly deserve the honour from wonderwomenworld.com. Your eloquence is elixir for many of us who have heard you.Your mellifluous talk is panacea and that’s the reason you remain cynosure in programmes. Pray GOD u ebullience solves many of the new uncalled & unexpected issues faced by present generation. Dear ma’am your truly are my wonder women 🙂 you have showered me with love and have helped me be me. I love you <3. I am blessed to have a teacher and a mentor like you. You are my GURU and I fall short of words to express my gratitude and warmth towards you. Your classes taught me how to learn and your words inspired me to live the life that I wasn't living at all. You strengthened me… every student of your's is blessed and to have a teacher like Mrs. Iyer is rare…. I am your Proud student and will always be. Congrats!!! You are doing a great job. People like this bring shame to the teachers community. I have attended Swarnalatha’s lectures and i find it very fake and ego boosting. Does not have the qualities to be a trainer,Sorry! Isn’t there a criteria for wonder women world !! Can anyone be called a wonder !! I did not find anything “wonderful” about this woman. Her write up sounded more like a boasting. Nothing inspiring about her ! There are many women who have been through great adversities like cancer, handicaps, acid attacks and abuse and emerged winners. They should be recognised and brought out by wonderwomenworld. What has this lady done so great ? ?